Learn basic hockey skills such as stick handling, passing and shooting. Hockey introduces participants to basic hockey skills such as stick handling, passing and shooting. Lessons also include fun, non-competitive scrimmaging. The hockey programs runs for 55 minutes, once per week, from October to March (6 month commitment). In each lesson, there are up to 21 participants who are supported by coaches, support workers, and volunteers. Lessons include individual and small group skill practice, group games, and scrimmages. Hockey fees are eligible to be paid through a participant’s Autism Funding. A fee assistance program is also available for those in need. See Payment Options. Must provide own equipment – a full equipment list, along with information on stores that may offer a reduced price for CAN participants, will be emailed out to all confirmed hockey participants. Parents/guardians must sign the Hockey Parent Agreement Form in order for their child to participate in the program. These skills are assessed on CAN Skate program report cards. 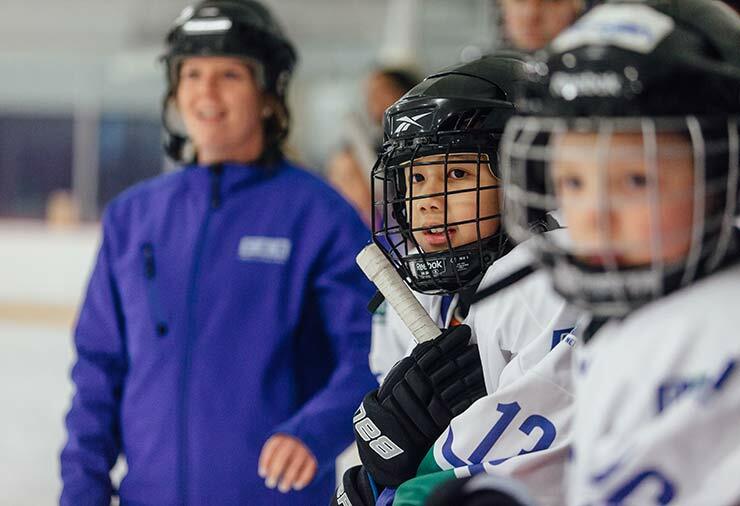 Registration for 2018/19 Hockey program is closed for children and youth. Please check back in August 2019 for program details regarding the 2019/2020 Hockey season. Subscribe to programs & membership newsletter to stay-up-to date on program and registration dates. 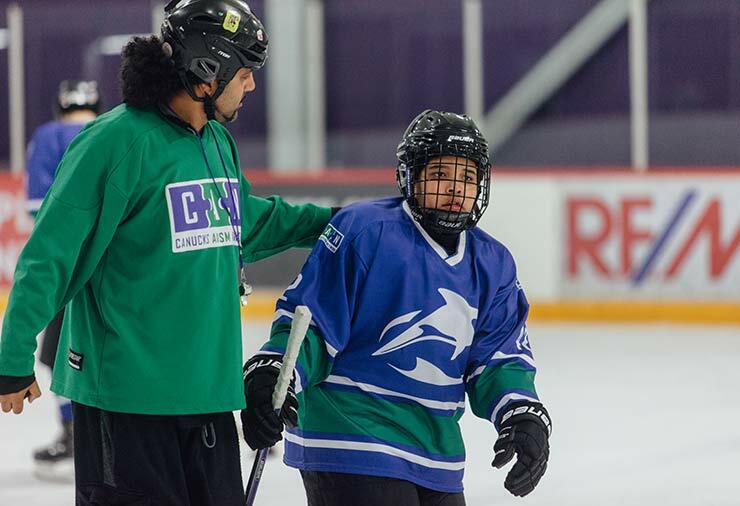 Is your son or daughter interested in joining the CAN Hockey Program for the 2019-20 season (ages 7yrs+) ? Interested participants are encouraged to attend a skating assessment to evaluate them on skating skills required for the hockey program. Online registration is currently open and will close on Friday, March 8 at noon. Are you a young adult and want to try playing ice hockey?